In this modern world, driving is an essential part of our lives. More than 80% of people rely on their own vehicle for transportation to and from work, school, errands and more. This means that most of the population spends a fair amount of their time in a motor vehicle. Part of being a safe driver is abstaining from consuming alcohol before you are going to operate a motor vehicle. According to the Centers for Disease Control and Prevention, motor vehicle crashes are the number one cause of death for people age five to 34. 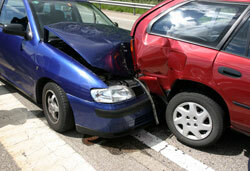 While accidents sometimes cannot be avoided, accidents involving drunk driving often can. Alarmingly, the National Highway Traffic Safety Administration found that in 2009, about one-third of all automobile crashes involved an alcohol-impaired driver. In looking at data collected for all automobile accidents in 2009, it was recorded that more than two million people were treated for injuries after a motor vehicle accident. In short, drinking and driving is extremely dangerous and is a public safety issue. That’s why states have continued to crack down on those convicted of this serious criminal offense. To help combat the number of automobile accidents in the future, the Centers for Disease Control and Prevention joined forces with the United National General Assembly for a program called the Decade of Action for Road Safety. From 2011 to 2020, they will be looking at ways to enhance safety on roadways. The CDC has already released fact sheets, which show the alarming cost of automobile accident-related deaths in the United States. For example, in 2005, it was noted that nearly 70 billion dollars was needed to cover the lifetime costs of automobile accident crashes that involved injuries and deaths. These fact sheets will also highlight effective plans to prevent such deaths and injuries from occurring. What these drunk driving and automobile accident statistics tell us is that we still have a long way to go as a nation. Reducing the number of preventable, drunk driving-related accidents should be at the top of the list. Taking public transportation or finding a designated driver are both successful ways to avoid a drunk driving-related accident. Copyright © DrunkDrivingStats.Org, All Rights Reserved.